It is stocked in both natural and black. Other colors are available on a custom basis. 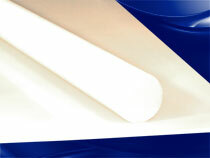 Nylon 101 natural is FDA, USDA, 3A-Dairy and meets the compliance to requirements of NSF/ANSI standard 61.